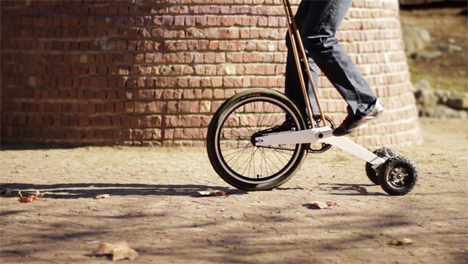 How compact can a bicycle get, enabling it to go anywhere in the city that you do? 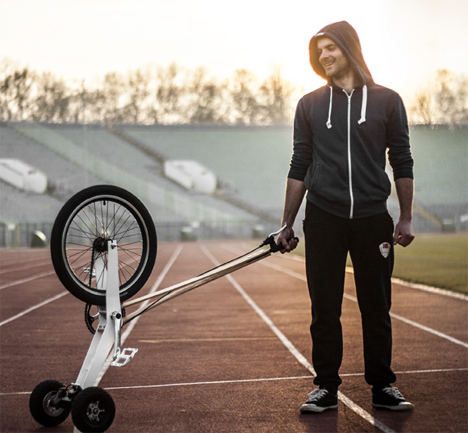 The Halfbike is an intriguing step forward for ultra-packable bikes ideally suited for the urban environment, eschewing a seat in favor of upright positioning for the rider. As a result, it fits into spaces too small for most other bicycles, including city buses and elevators. 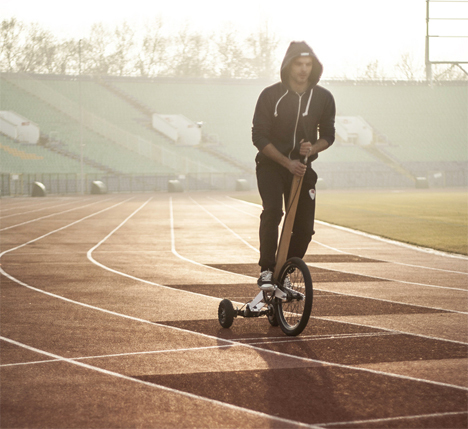 Lightweight enough to be carried up flights of stairs, the Halfbike works by a combination of cycling and smooth assisted running for a quick, fun means of getting around the city. 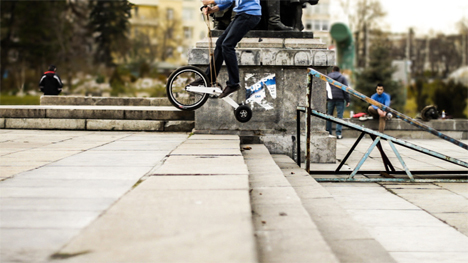 The three-wheeled design gives it a lot of agility over a regular bicycle, cutting tight corners and sailing up stairs. 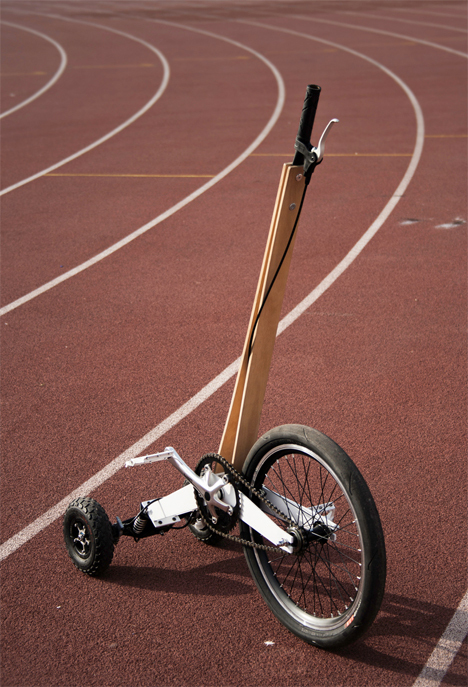 It’s easy to walk with the Halfbike one-handed, and the aluminum frame and plywood handle take up very little space. While the lack of a seat might make it less comfortable for long commutes, standing offers greater visibility.